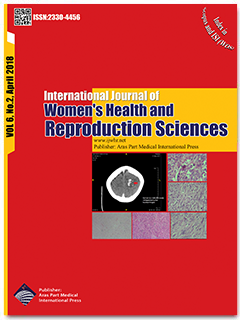 Objectives: The aim of the study was to investigate the role of medroxyprogesterone acetate (MPA) in the prevention of luteinizing hormone (LH) surge during controlled ovarian hyperstimulation (COH). Characteristics of cycle and pregnancy outcomes were compared in subsequent frozen-thawed embryo transfer (FET) cycles. Materials and Methods: In a prospective controlled study, In vitro fertilization (IVF)/intracytoplasmic sperm injection treatment was done in 99 patients. In the case group, hMG and MPA were administered from third day of the cycle, simultaneously. As dominant follicles matured, ovulation was induced by hCG or GnRH agonist. hMG and GnRH were administrated to the control group. For later transfer in both protocols, viable embryos were cryopreserved. The primary outcome measured was the incidence of premature LH surge and a number of oocytes retrieved. Clinical pregnancy outcomes from FETs were secondary outcomes. Results: The number of oocytes retrieved in both case and control groups were equal. LH suppression persisted during ovarian stimulation in the case group, and there was no incidence of premature LH surge. There was no significant difference between amounts of follicles, mature follicles, oocytes resumed and obtained embryos between 2 groups (P > 0.05). Conclusions: The results showed that in a woman undergoing COH, MPA as an oral drug was effective in the prevention of premature LH surge. The results would help to establish a new method for ovarian stimulation in combination with embryo cryopreservation.